Bahia Blanca, Argentina. The Union Vasca Basque Club celebrated its 120th anniversary with a party that gathered members and friends of all ages. The club also received messages and greetings from, among others, the Director of the Basque Community Abroad, Gorka Alvarez Aranburu (see message here). The event opened with welcoming remarks by club president, Juan Manuel Lopetegui, and continued with an Aurresku performed by his daughter Irune, member of the local Bati Aurrera dance group. 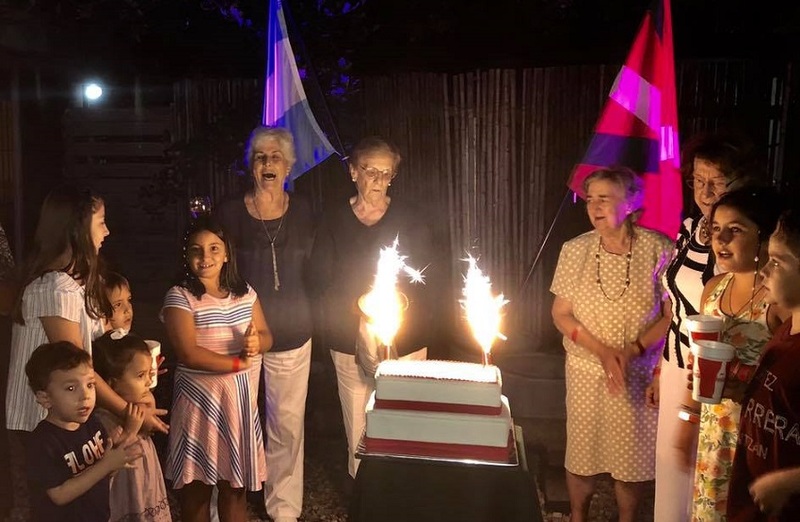 After dinner, representatives of the oldest and youngest club members gathered to blow out the candles on the birthday cake. “A very emotional moment where the essence of the club could be experienced: value, remember and transmit the teachings of our aitonas and amonas,” club sources said. (More information on the festivities, here). In the year of its 120th anniversary, the oldest Basque club in the province and one of the oldest in the world is also preparing to host Semana Nacional Vasca that will take place November 4-10, 2019.